Building a data-centric organisation is becoming critical if you want to develop a strong competitive advantage. In this post I examine some insights into, what I consider, a key step, in actually ‘being’ data-centric. Given that any company is made up of more than just its executive team, it therefore makes sense that it should involve all its employees. In previous posts I discussed the role of technology, the CIO and the leadership team in becoming more data-centric, in order to improve customer centricity. 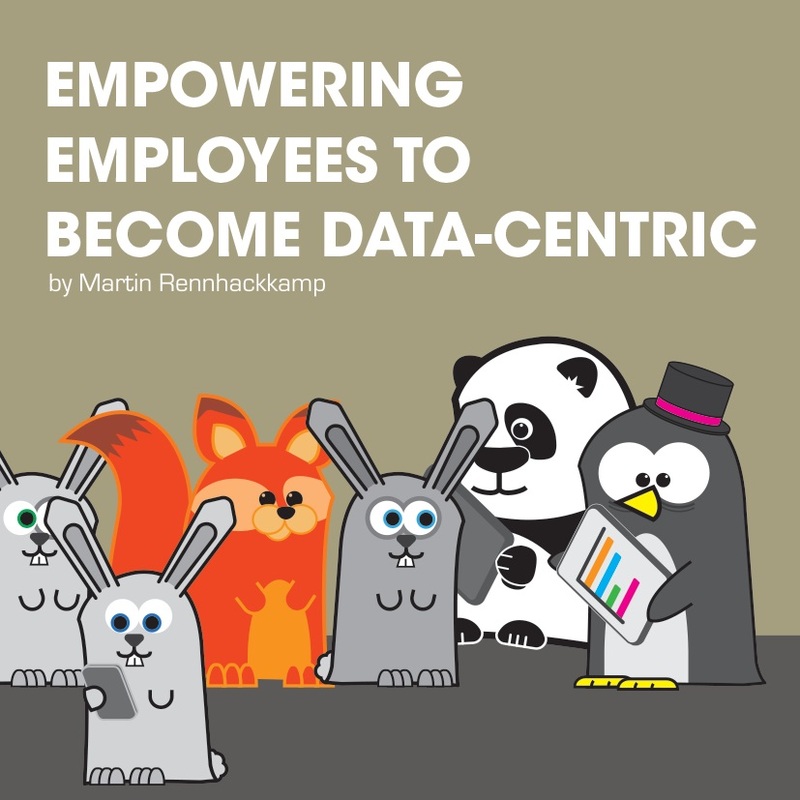 Extending this approach through the organisation means empowering employees to be data focused as well and thus building a data-centric culture from within the business. This is key, but not always easy. So let’s examine some key highlights from the whitepaper by EIU, and sponsored by Teradata, titled The Virtuous Circle of Data, Engaging employees in data and transforming your business, which provides some concepts that businesses can put into practice to ‘persuade’ their employees to embrace the power of data – and in turn, take a step towards furthering the organisation’s data-centric culture. Here is a recap of the employee empowering tactics suggested in the referenced paper, filtered by and augmented with some of my own views. While the concept of data is not new, the strong emphasis on its importance is something that has evolved over recent years. Staff, therefore, must be trained on how to actually manage data effectively. Workshops on data- and information management disciplines are very useful in this regard, as well as formal training on data management and data exploitation tools such as reporting and visualisation toolsets. However, having said that, we need to keep in mind that not all employees use ‘downstream’ information. Many employees are responsible for entering and maintaining data in core transactional systems – for them training on data management and data quality management disciplines is useful. Further to this, given that knowledge and skills around data can become outdated, quite quickly, and given the current increase in the evolution of technology and the utilisation of data, consistent training on data skills is a must if you want to gain the best results when developing a data-centric business. By linking data to the business, it is a means in which to stimulate thinking from ‘Wow that data is certainly interesting’ to ‘Wow that is interesting. How can I use this in my strategies’? Additionally, providing an incentive gives a different perspective or focus – and in the case of ‘data’ it should be viewed as no different. This way of thinking can instill a positive attitude towards data in staff – leading to data forming an important part of everything that staff members do. Another useful approach is to surface and utilise data more in all business processes. Making business process measurements and other process control data visible to staff members will help them better understand and appreciate the usefulness and importance of data as a tactical process management tool. This applies not only to the managers of those processes, but also to the workers performing those processes on the floor. In essence, it’s all about operationalising business performance management by surfacing and increasing the importance of all the related data. Of course, very important in business processes that interact with customers is surfacing additional insights and complete profiles of the customers to those particular staff members that deal directly with those customers. The more these staff members are empowered with data-centric insights, the better they can serve those customers and so build loyalty and of course, increase revenue as well. There can be nothing more frustrating than having to analyse data – or even just having to look at it – with tools that are not effective or that do not provide the most reliable results. Leaders in data-centric organisations are not only good at making the right data accessible to staff, but they also ensure that the data is understandable and that staff have access to the tools they need to analyse the data effectively. Visualisation tools play an important role here, as visuals tend to focus, grab attention and can be better understood by a much larger class of user. 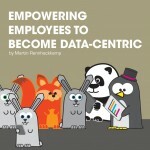 Data plays a pivotal role in organisations today – and this is not going to change. In fact, it is only going to increase – so considering data as a crucial business asset cannot be emphasised enough. Especially, considering how much harder it is to differentiate an organisation in today’s saturated market. As a result, data, in my opinion, has become a crucial organisational resource. Therefore, developing a data-centric organisation will allow you to capitalise on your data resource in a more innovative manner – to the benefit of the business and its customers alike. Obviously, your staff plays a crucial role in this process – therefore they need to be appropriately empowered.